A local landmark known for its August Beer series that also offers home-baked pizza made with an original dough perfectly suited to match the August Beer original pale lager. The specialty of the house is a soft and fluffy Naples-style pie with unique seasonal toppings to match the house beer—like the current avocado and kinshinsai with original sauce. Quench your summer thirst with a pint of unfiltered August Beer original or August IPA (both ¥1,100). 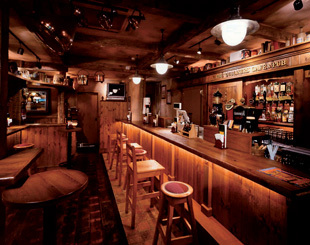 Craft beer starts from ¥600 (small), ¥750 (regular), and ¥1,100 for traditional pints. 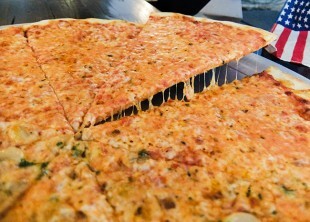 With 15 different types of pizza, make the first decision easy with a classic Margherita pizza (¥930). 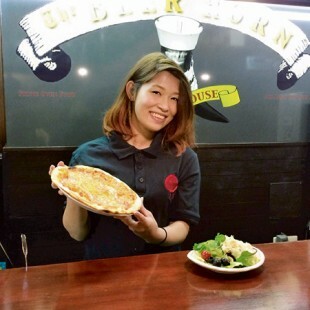 A unique craft beer bar in Akasaka featuring Otaru Beer served in real horns—plus pizza, roast chicken and more cooked in a stone oven. Original pizza dough made fresh with a very crispy crust. Try the spicy, hand-made pepperoni pizza with cracked black pepper, the Mexican pizza with fresh salsa, chipotle peppers and roasted garlic paste or the unique smoked Krakauer sausage mozzarella pizza. The Dark Horn (a Münchner dunkel) is a simple beer without excessive gas and only 5.2 percent ABV. 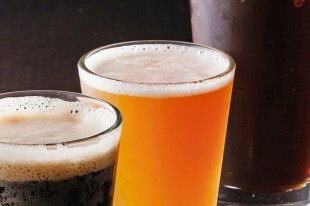 Seasonal beers are introduced each month with special introductory prices. Craft brew starts at ¥610 for a 400ml glass or quaff from a true drinking horn for ¥1,260. Pizzas are ¥700, ¥900 or ¥1,000. Two-hour all-you-can-drink craft beer for ¥2,400. The authentic flavors of a Mexican cantina with true south-of-the-border suds. Enjoy ice-cold bottled beer from Mexico like Negra Modelo, Corona, Sol, Tecate and TJ Mexican craft brew, as well as crisp Heineken draft—perfect for the hot weather! 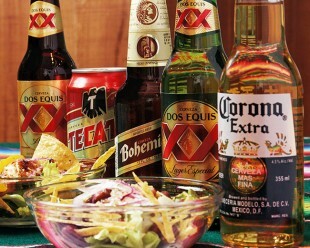 Bottles of premium cerveza are just ¥700, while pints of draft are ¥650. 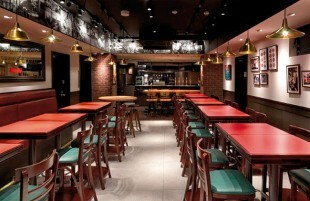 Mention Metropolis when you order and get a glass of beer and a chorizo wrap set for only ¥1,000! An open, casual bar with a relaxed environment and real craft beer from Japan, America and Belgium—and some that you’re not likely to find anywhere else in Tokyo. There are 14 types of craft beer on tap and over 50 bottled beers. The lineup changes every day, so you’re bound to find an old favorite or try a new one. Beer starts at just ¥580, non-beer drinkers can a get glass of wine for ¥300 and food can be ordered from ¥300. 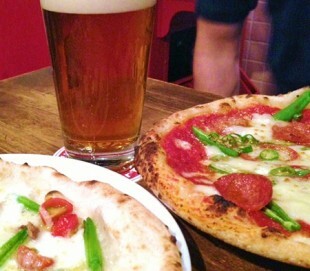 Tokyo’s go-to place for craft beer and Chicago-style pizza. The only deep dish, Chicago-style pizza in Tokyo. Dough is made daily—as are the house sauce and sausage—and aged overnight to enhance flavor. 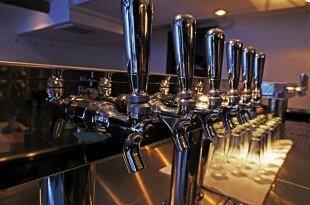 A rotation of 15 taps at the Kanda location and 20 at the Hamamatsucho branch. The specialty is American craft beer with a well-balanced lineup—including a few extra IPAs for hopheads. Great selection of local Japanese craft beer. Half-sized U.K. pints are from ¥650, and U.S. pints from ¥1,000. Happy hour runs daily, with ¥100 off any beer. 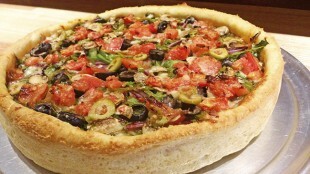 Small Chicago-style pizza from ¥1,250. 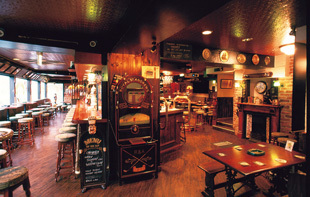 A true Irish gathering place in the heart of Tokyo that welcomes you and your friends with Guinness and Kilkenny beer, traditional Irish pub grub and Celtic music performances (see website for schedule). Of course, draft Guinness and Kilkenny are on tap, but you can also enjoy premium Japanese beers such as Kohaku Yebisu or Shiro Honoka. Pints of draft beer are ¥1,000, and all drinks are best enjoyed with a large order of authentic, Guinness-battered fish and chips (¥1,150). This friendly Irish pub near Shibuya station offers a wide array of international beers, and features a fantastic fifth-floor terrace that overlooks the dizzying splendor of the area. Eight brews on tap including classics Guinness, Kilkenny, Belle-vue Kriek and London Pride (one of the few places that offers this beer from the barrel) plus over 20 bottled international beers. Genka means “wholesale,” and those are the ridiculously low prices you pay (after a small entry fee) at this popular watering hole—now with three locations in the city. For just ¥210, you can’t go wrong with Suntory The Premium Malt’s. The rich Premium Malt’s Black goes well mixed half-and-half. Entrance fees are ¥1,800 (Akasaka), ¥1,600 (Gotanda) and ¥2,500 (Ginza). Mention Metropolis and get a free Suntory Premium Malt’s. Hofman’s Pizza is an international oasis of original gourmet pizzas and burgers, plus vegetarian and other dishes—all made with love by people who love people and food. A thin-crust pizza recipe born in the mountains of Catalonia that’s both soft and crispy at the same time, with a sauce that’s hand-made fresh every day. Local ingredients are free of pesticides or other naughty, unnatural things. Whole pizza (30cm) from ¥1,390. Look for big monthly discount coupons on their Facebook page. Bring this copy of Metropolis and get ¥500 off any deluxe pizza or ¥300 off any regular whole pizza and a free shot at their monthly pizza tasting event—see website for details. Kirin City wants to provide you with the freshest tasting beer possible—as if it just arrived from the brewery—and have you enjoy it with great food like sausages, chicken baskets and vegetable dishes. Kirin City pours its namesake beer in three steps, resulting in an unsurpassed beery treat of rich foam that keeps your drink fresh until the last drop. Heineken and Guinness are also available. An evening will average ¥3,000 per person, with a two-hour, all-you-can-drink menu for ¥4,000. A British-owned “London pub” serving satisfying English staples like bangers and mash, shepherd’s pie, the best fish and chips in town and original, uniquely British bitter ales. Just launched this year, the MT Craft Brewery produces typical British-style bitter ales that are sold exclusively at the Meguro Tavern along with six commercial beers. Sample 300ml bitters for only ¥500 yen. 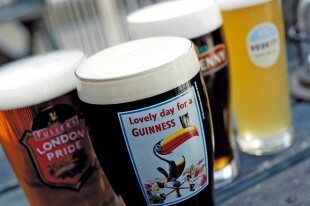 Pints are kept at ¥1,000 yen (including tax) as a means of keeping prices down after the tax increase. Open terrace that suddenly appears in a back alley in Shinjuku. One big-screen TV and three smaller screens. More than 40 seats inside the pub and 15 seats outside, plus a standing bar. Vegetarian-friendly fare. Draft Guinness and Bass Pale Ale along with cold and crisp Asahi and Heartland. 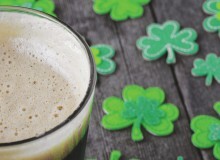 From Monday to Thursday enjoy Paddy’s daily selection for half price. The famous fish-and-chips—perfect with beer (normally ¥1,200)—is just ¥600 every Wednesday. 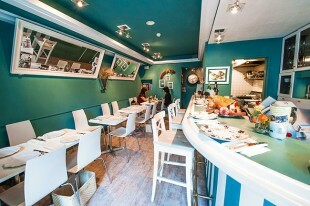 A unique restaurant that specializes in fried pizza and pies with a good selection of cured hams, cheese and wine. Panzerotti, or fried pizza pies, prepared on order using original dough, plus various sauces and toppings from the menu like classic Margherita, tofu, eggplant, or konnyaku with miso sauce, as well as the ten-vegetable summer mix. A variety of pizzas that range from ¥700 -1,400, with sweets from ¥400. Draft beer (¥700) and various glass wines (¥800) also available. 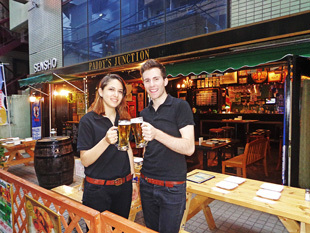 Mention you saw them in Metropolis and get your first glass of beer for just ¥500. Pizza by the slice in a shop that feels as if you’re getting a pie in NYC. Traditional pizza with basic toppings and carefully selected ingredients. Slice not big enough? 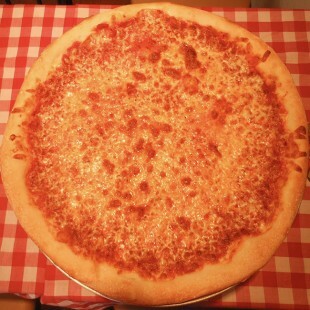 Try the 20-inch XL New York-style pizza, or get your name crafted in pepperoni topping on your birthday. Bring this copy of Metropolis and receive a ¥500 discount on any whole pizza. Step into Rocco’s and you step in to an authentic NYC pizzeria that also serves American-style sides such as Buffalo wings, calzones, stromboli and NY cheesecake. 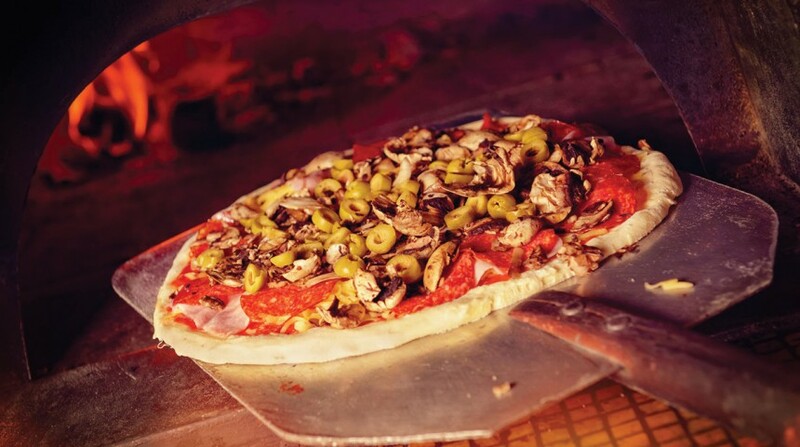 Hand-tossed pizza dough made daily in the store (along with a special house sauce) and baked in their U.S.-made stone deck oven. 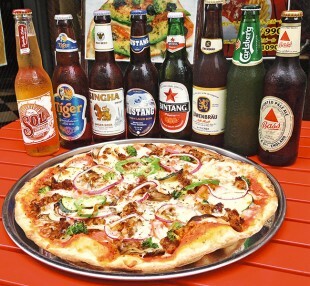 Mention Metropolis when ordering and get a free beer with the purchase of any medium or large pizza (valid until July 31, 2014). Casual American restaurant with craft beer on tap and eight wines by the glass. The Kabutocho branch also has pizza. Craft beers from America’s west coast. Stone House IPA is always on tap at the Shiba-koen branch, and the Kabutocho location has Rogue, Elysian and San Diego’s Pizza Port on rotation. Tasting glasses available for ¥ 600, with both regular (¥850) and “house” (¥980) pints available. A wide selection of bottled beer from ¥850. 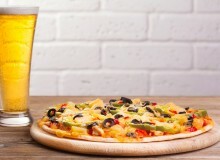 During happy hour (4-7pm weekdays) get ¥850 craft beer for just ¥650. 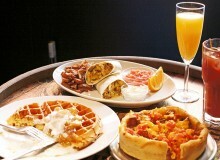 Mention Metropolis and get your first drink at happy hour price. On three special nights this summer (Jul 23, Aug 1 and Sep 5) enjoy draft beer for only ¥350 while you take in the baseball action at Jingu Stadium—with fireworks added to top it all off. All of the Kirin, Asahi and Sapporo beer on tap makes this night a grand slam. 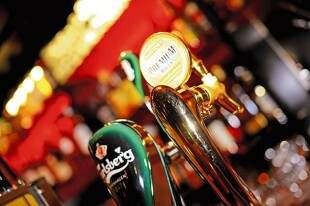 All draft beer is just ¥350 on these special nights only (normally ¥750). Show the Metropolis Tokyo Yakult Swallows ad with your game-day ticket stub and get a draft beer for ¥200 instead of ¥350.